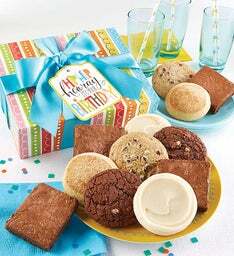 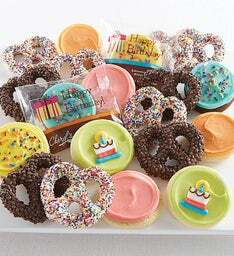 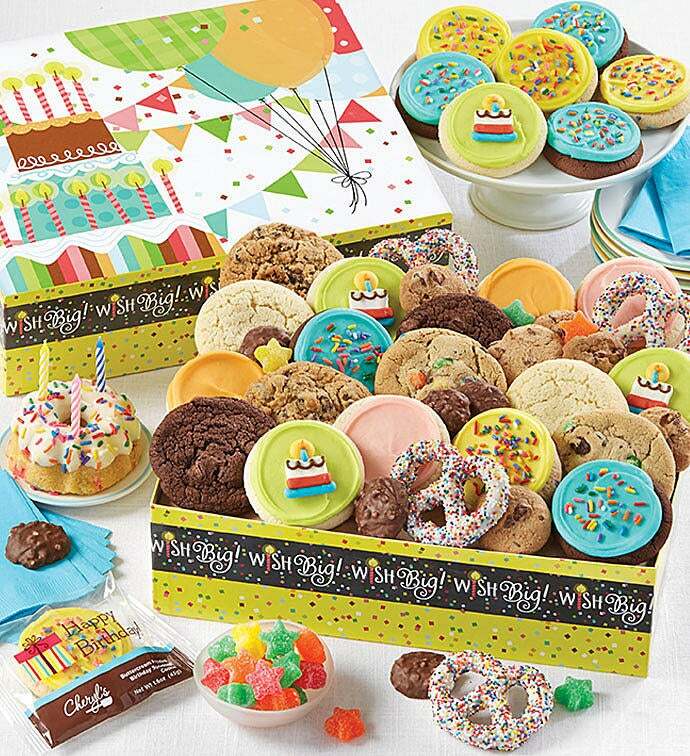 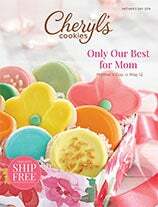 Your friends, family and coworkers will enjoy a confetti birthday mini cake with candles and an assortment of Cheryl’s best bakery treats and sweets including our birthday cake cookies (they really taste like cake! 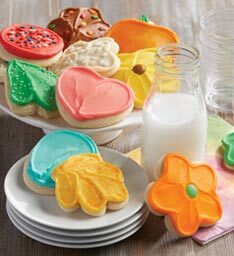 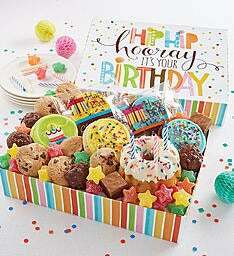 ), our specially decorated birthday frosted cookies, snack size crunchy chocolate chip cookies and snack size brownies, pretzel clusters, gourmet drizzled pretzels, and sour gummy stars. 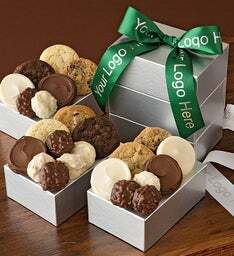 44 pieces.